When you're in the city that never sleeps, you might want to keep one eye open at all times. 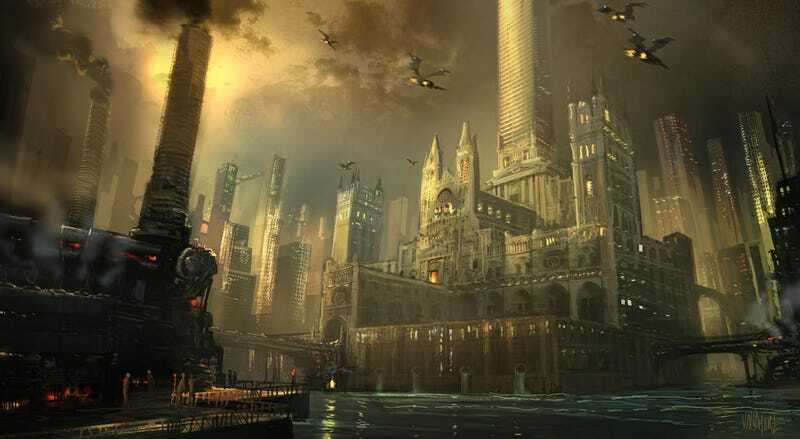 Many of the best futuristic cities and urban fantasy stories take place in dark, dystopian cities. Check out some of our favorite neo-noir and fantasy noir art — and remember: The city is watching you.